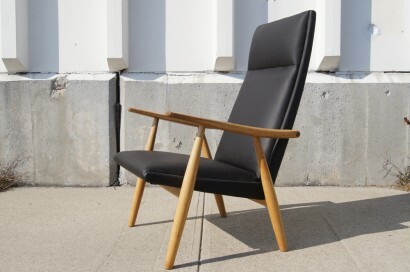 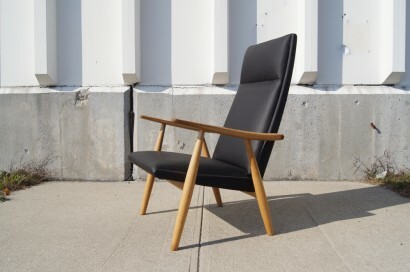 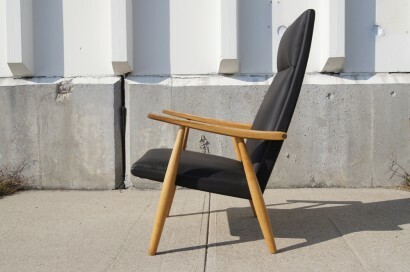 Hans Wegner designed this minimalist lounge chair, model GE-260A, for Getama in 1950. 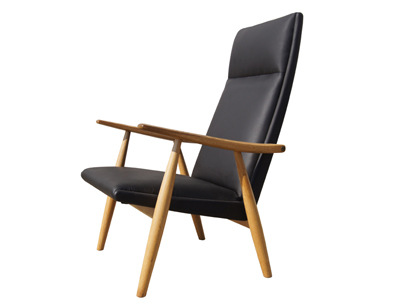 The solid oak frame supports a striking high back to which the tapered arms are attached with brass fittings. 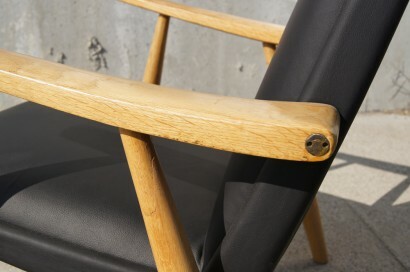 The spring coil system gives the chair a very comfortable seat. 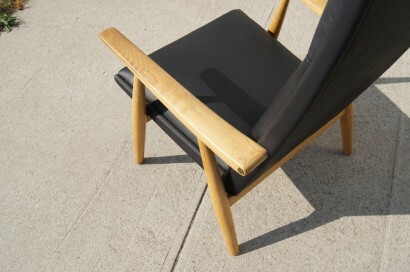 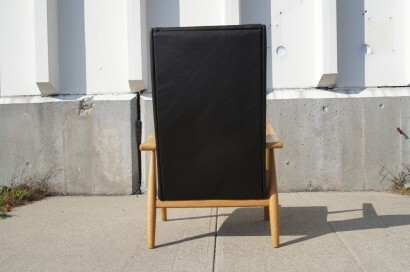 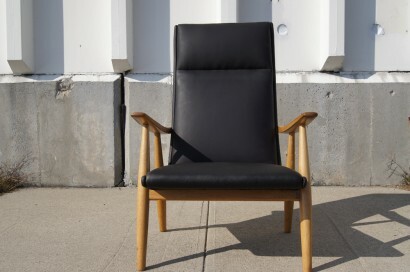 The piece has been newly reupholstered in a supple matte black leather.